These old books all have their merits as practical guides, but they’re treasures to me for a number of other reasons. Partly, it’s because of the memories I have of acquiring them from various antiquarian booksellers while traveling with friends to and from local horticultural events. There’s also something very special about the feel of a cloth-bound book in hand, and the crinkle of delicate tissue-paper pages as they’re carefully turned to reveal the beautifully tinted artwork. 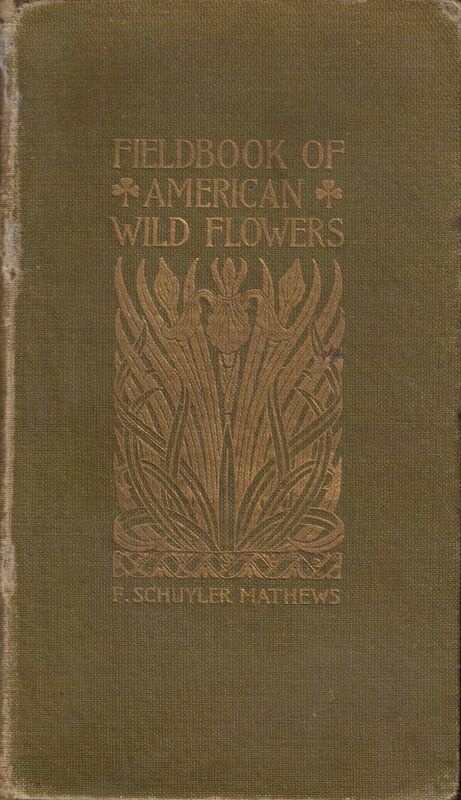 At the very top of this post is the title page of my 1911 edition of Field Book of American Wildflowers by F. Schuyler Mathews. On the left side of that image, tissue paper partly obscures a color plate labeled Sabbatia chloroides. 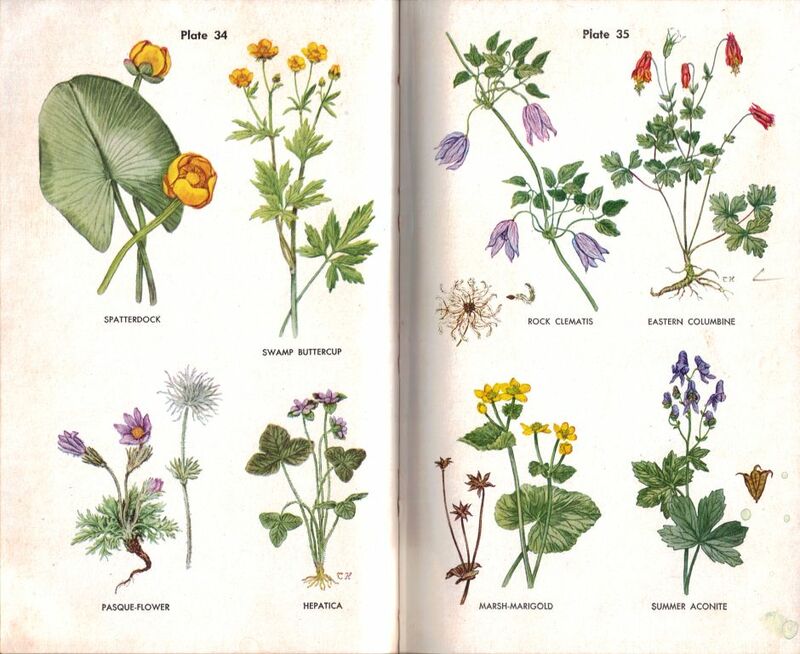 Below is a spread of color artwork from Wild Flower Guide: Northeastern and Midland United States by Edgar T. Wherry (1948). 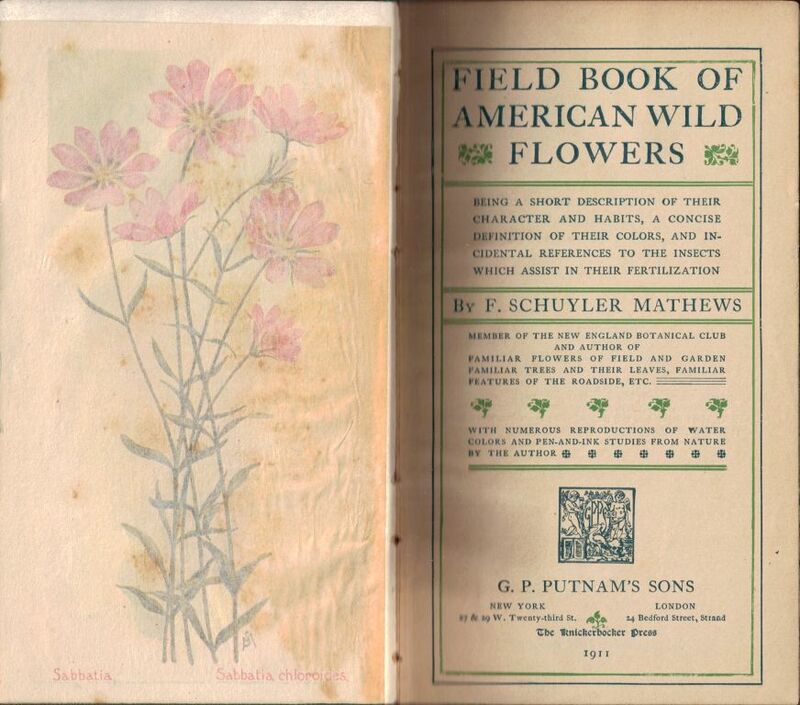 It’s also an incredible sensation to hold a book that some other wildflower lover held and used decades ago. I enjoy seeing the old bookplates, reading the names and inscriptions, and perusing the penciled notes on the margins and endpapers. 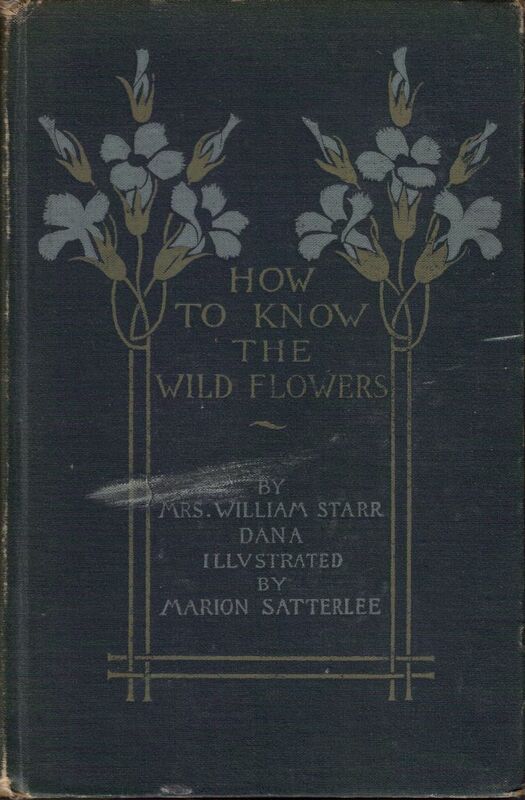 This bookplate is from my 1893 edition of How to Know the Wild Flowers. Apparently, Jethou is a tiny piece of land that’s part of the Channel Islands. 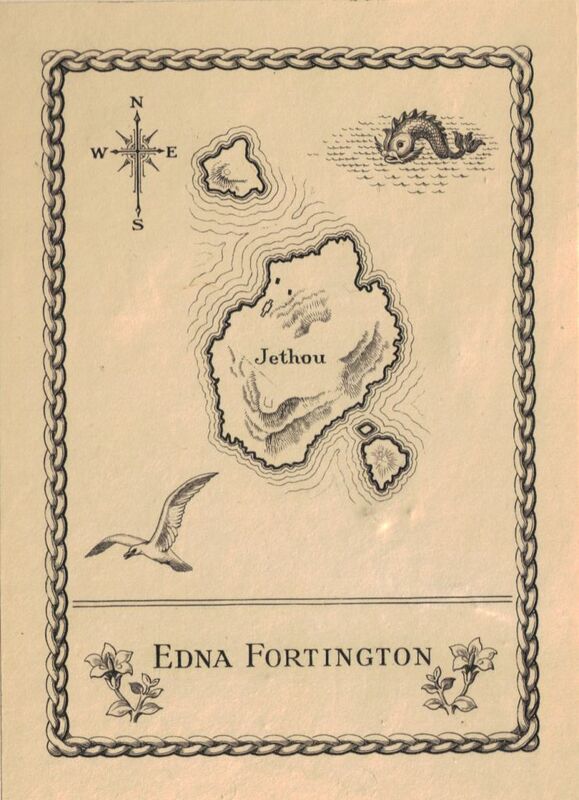 According to this article, the island was leased by the Fortingtons from 1934 to 1948, so the book was already old when Madame Fortington owned it. Isn’t that just the coolest thing? 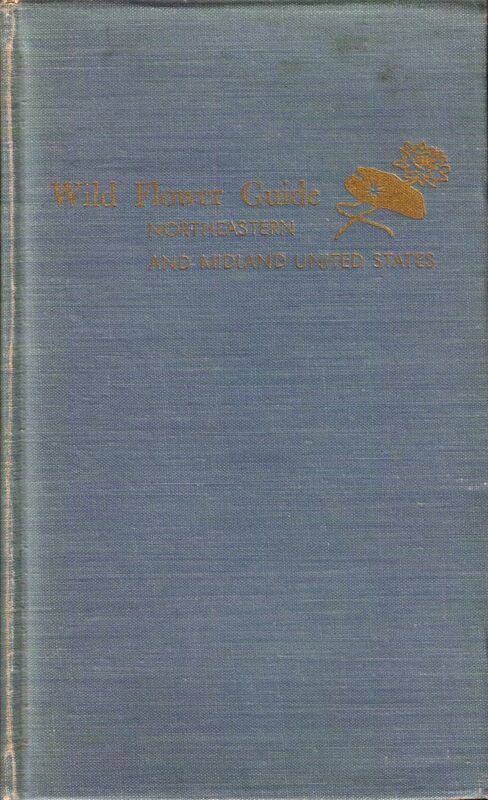 Below is the inside cover of my 1948 edition of Wild Flower Guide: Northeastern and Midland United States by Edgar T. Wherry. 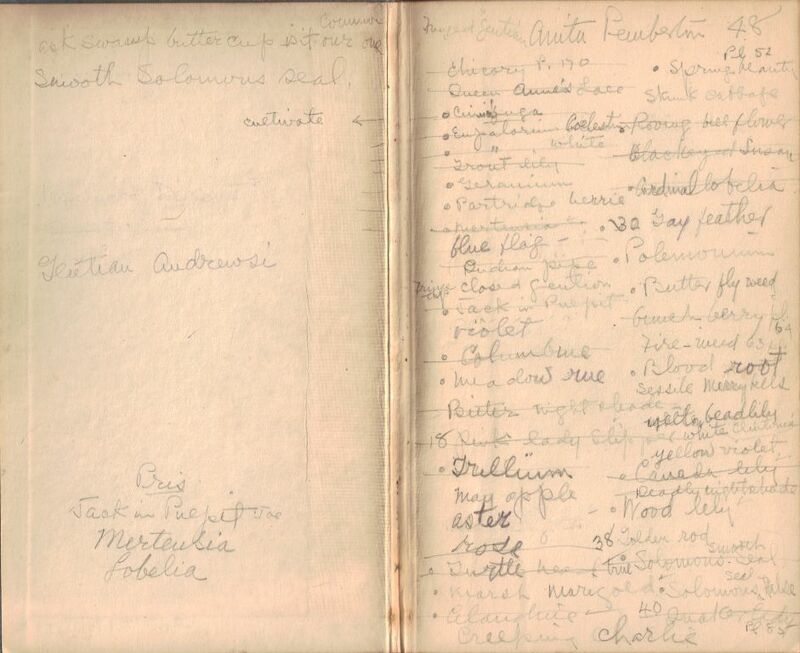 A previous owner, Anita Pemberton, made extensive lists throughout the book of plants that she had seen in the wild and those she wanted to add to her ‘”wild garden.” I hope her wishes were fulfilled. I keep lots of lists too, but it seems highly unlikely that anyone will value mine 60 years from now. That won’t stop me from making them, though. Even better than finding handwritten notes, though, is finding pieces of actual plants pressed in the pages. 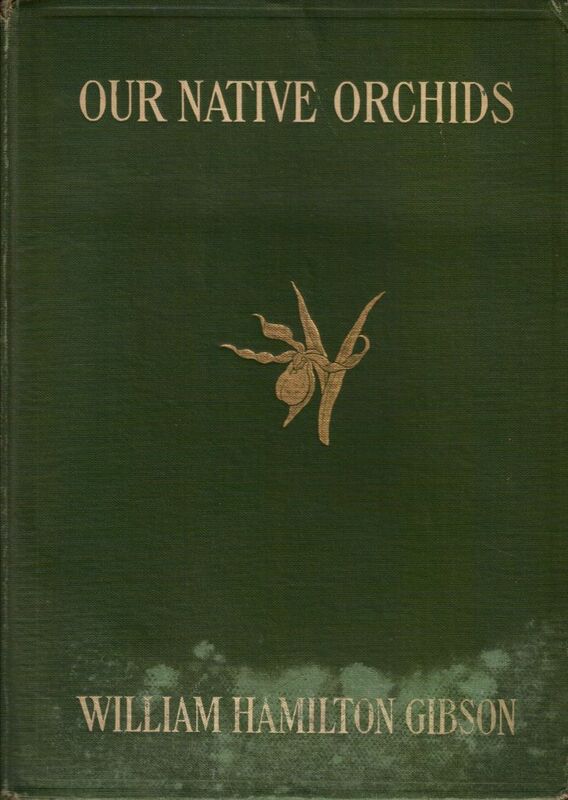 These fern fronds are scattered throughout my 1905 edition of Our Native Orchids by William Hamilton Gibson. There’s no inscription in the book, so there’s no clue as to who left them. I have a guilty wish that they had pressed orchids instead of ferns. But I still find it amazing to handle bits of any plants that some previous gardener appreciated well enough to preserve. Maybe I’ll press a few of my own favorite wildflowers in these books, as a gift to the next person who gives them a home after I’m gone. Welcome! Another place you might want to check out is ABE Books. It’s a super way to track down old books, though you don’t get the fun of handling the volumes first. These are wonderful! I have the facsimile edition of Mathew’s book as published by Sterling in 2001, so my copy doesn’t have the history attached but I love it anyway. Abe Books is a good recommendation for your commenter above–my local used book guru tracked me down a non-gardening book I desperately wanted, and it cost far less than either of us had expected, too. And the service was quick! Stumbling around as usual, I just found Hayefield…I’ll add it to my list of links, of course. I really like the clean design of it and the soothing colours. Am presently having major fits because I can’t put photos in the columns of bloomingwriter now that it’s three columns, and I’m not techy enough to figure out what to do to fix that. Great to see you here, Jodi! How cool that you too own the Mathew’s book. Yes, ABE is fantastic; you can even hunt for signed copies. And thanks for the comments on the site design. I can’t take any credit for it, however; it’s one of the basic themes that comes with WordPress. Trust me, you’re more techy than I am. I find the idea of holding one of these old books drawing me out to search for one. What treasures! And the neat thing is that wildflowers don’t really change, so the information should be still good. Thank you for such an interesting post! Oh, absolutely, the info is still good. In fact, some of the names are so old that they’re actually *back* in favor! Nan, if it weren’t for blotanical I would not have found this other blog. Sorry for not realizing it sooner. It will be added to my sidebar and visited frequently. Hooray for Blotanical! I’m having fun there too. I had to start my own blog so I’d have a place for all of my own color-related posts. So see, I can tease you a little about your own at Faire Garden. The historian in me just loves these old books! Oh, MMD, you’d really love Baldwin’s Book Barn, if you ever find your way out here to southeastern PA. It’s quite close to Longwood Gardens (about 20 minutes, if I remember correctly), so it makes a great day trip. I just found that they are still open and even on-line. What lovely old books! Every time I go into a used book store I search for flower and gardening books, and although I haven’t done as well as you, I have picked up a couple of really nice ones. The only problem is that they are so fragile that I’m almost afraid to turn the pages. Hello Aiyana! I understand your feeling about the fragility of the books. I try to handle my oldest ones as little as possible. But I did enjoy having this excuse to bring them out and look at them again. 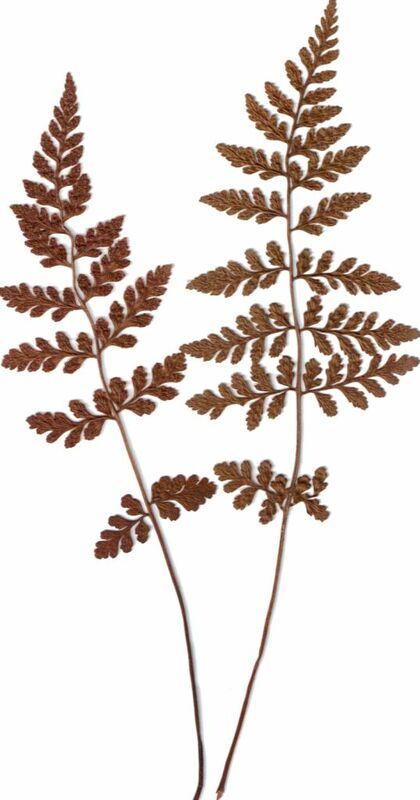 I love your books, the handwritten notes, and the pressed ferns. I love my modern field guides for identification, but your older versions are such treasures. Welcome back, Molly. I’m a sucker for the color-photo-packed modern guides too, and I use them far more often, but I tend not to get as emotionally attached to them as I do to the old ones. Beautiful books, and I too love the look of the blog! So much better than the boring Blogspot options. I’ll have to check out ABE Books as well, though where I could even put another book I can’t imagine! Seeing as how you always managed to score twice as many great old books as I did on our trips, I’m not surprised that you’re running out of room, Elly. And you are finally starting your own blog? Do tell! Thanks for checking in, Ellen! I’m a little late to the party, but wanted to chime in and admire your old books. I’m guessing that Tiarella wherryi is named for one of the authors? I need to check out Baldwin’s Book Barn on my next trip to Longwood – thanks for that tip! Greeting, entangled! Yep, same Wherry. Enjoy Baldwin’s! Such wonderful old books! No wonder you treasure them. The illustrations are true works of art. Greetings, “Anonymous”! Thanks for the comment. You’re right that the illustrations are works of art. I’m glad that these few books, at least, weren’t taken apart so the color plates could be sold individually! There’s something magical about those old illustrations, isn’t there? They remind me of a very old favorite book I still have from my childhood. It’s full of beautiful illustrations filled with fairies. Oh, good – I’m glad to know it was you, Kerri! Yes, old books are such treasures.